Today I met an old school friend for coffee and wanted a look to wear that was casual (but not too casual) and warm. When I say casual you should be aware I don’t really ‘do’ casual. Its not me. There are some days of course I want to be comfortable and chilled but generally you wont see me in a hoody or joggers…I just feel too scruffy! 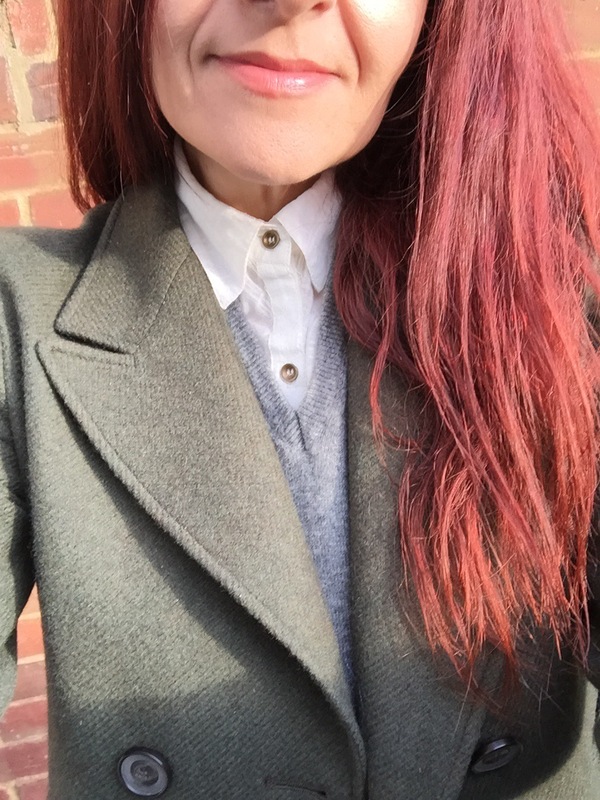 I based my outfit around an amazing Jigsaw wool jacket I have. 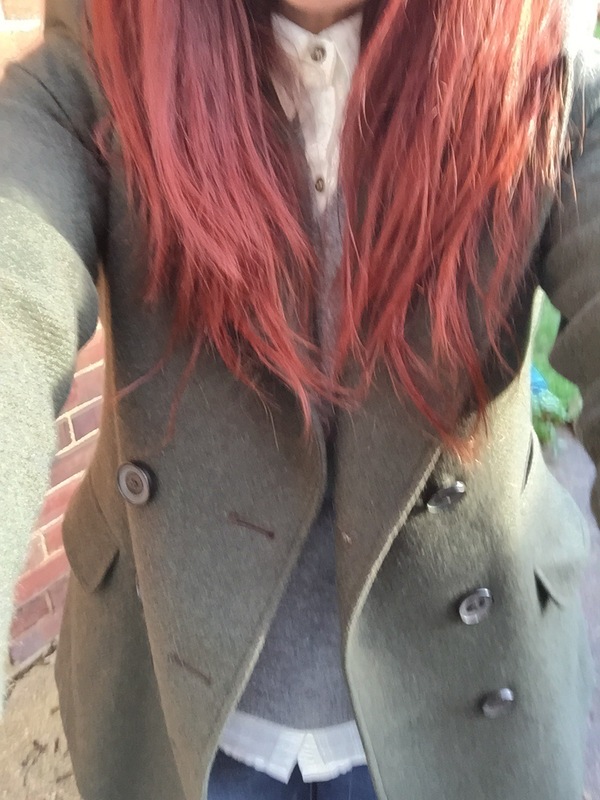 Its a dark khaki green and is lovely quality as you’d expect from Jigsaw. 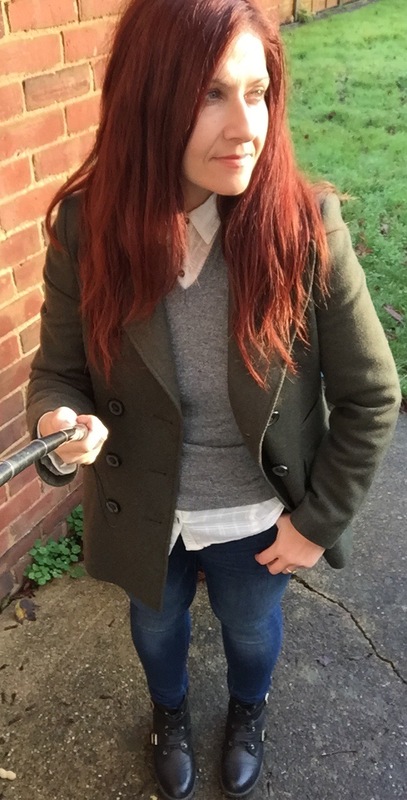 Underneath I wore a Primark cream cotton shirt buttoned up to the collar, layered with a Benetton grey wool slipover and skinny jeans. Overall a slightly preppy look. 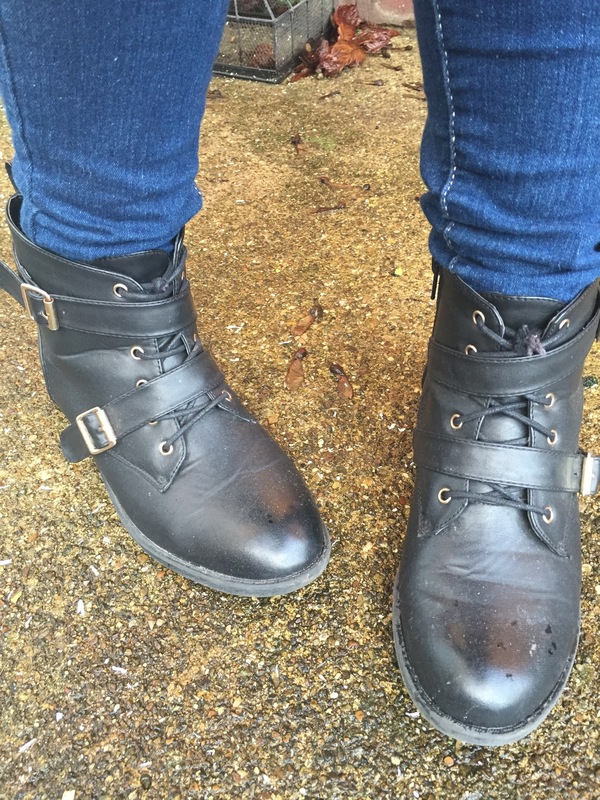 As it been raining I opted for some sturdy buckled Dorothy Perkins ankle boots on my feet. 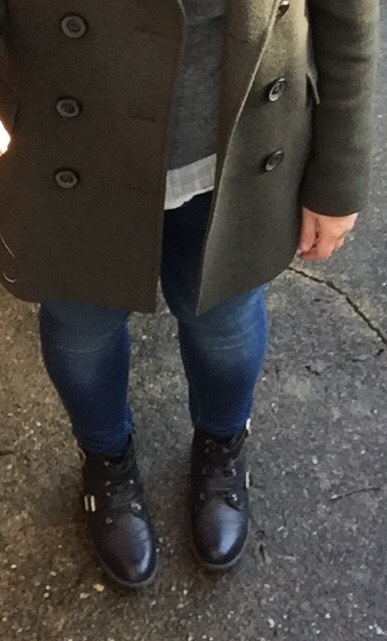 I love this look and it was warm enough so I didn’t need a coat on all day! Buying a piece like the Jigsaw jacket is definitely an investment purchase but once you have items like that in your wardrobe you’ll use them again and again. I know I do.